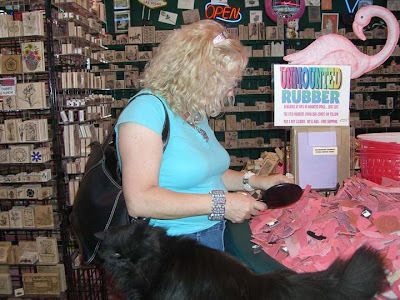 Discover A World of Rubber At Viva Las Vegastamps! 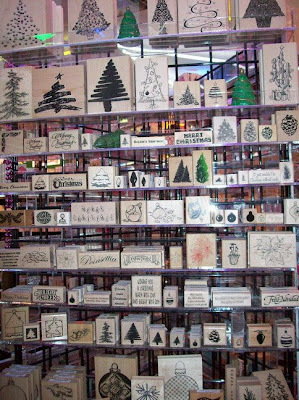 For your shopping enjoyment, we have unmounted rubber dies for $1 each/$10 per dozen and used mounted rubber stamps for just $2! Some people spend several days going through our Rubber Buffet which is on two retired BlackJack Tables from the old Vegas World (where the Stratosphere is now). Checkout Open On Aisle One! No line at Aisle One... just waiting for you to fill your basket! Train Wreck at Checkout Counter! Trains are STILL waiting for track to be laid! Views of Viva Las Vegastamps! Viva Las Vegastamps! from every angle! 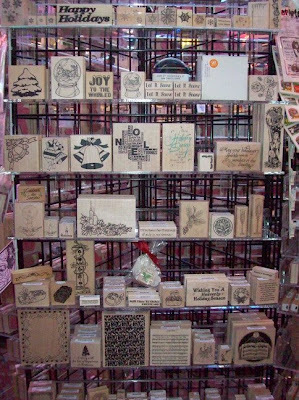 You can always find great buys at Viva Las Vegastamps! For your viewing pleasure... 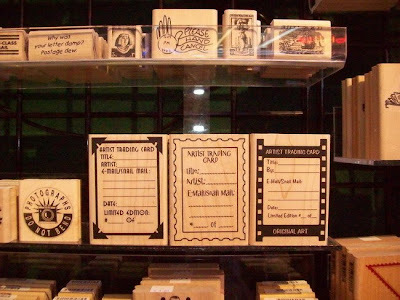 I'm as obsessive in collecting thingies and neon as I am rubber stamps! More, More, More... nothing succeeds like excess... especially in Las Vegas! Our Checkout area in my "cage" just keeps getting more and more collectibles to dazzle your eyes! We hope to have the train in the counter running soon... still laying track. 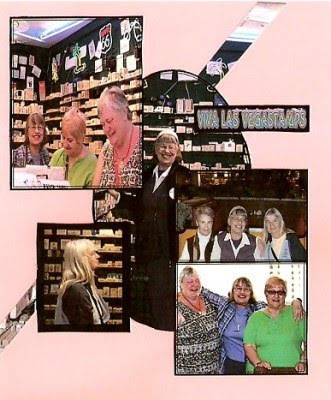 Mary Helen Sims won the Circle Of Crafters Challenge for Scrapbook entries with this Scrapbook Page of Viva Las Vegastamps! 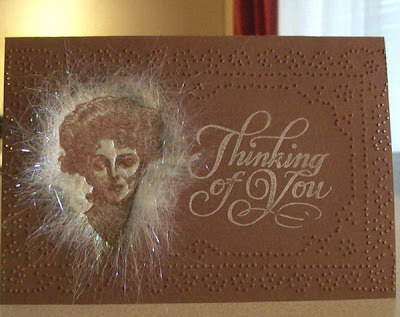 Congratulations, Mary and thanks for your support of Viva Las Vegastamps! Viva Las Vegastamps! is GREEN! Viva Las Vegastamps! 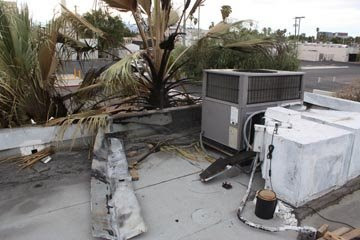 fire pictures... this was our factory... the fire department created a lot of damage getting in through two wrought iron gates, the door... and then they cut a hole in the ceiling... with the a/c down, we're unable to press in this heat... we're very fortunate nothing was burned inside but it's a pain nonetheless with the damage to the roof and a/c... waiting for a report from the fire department as I'm not sure whether the a/c caught on fire or it was arson. 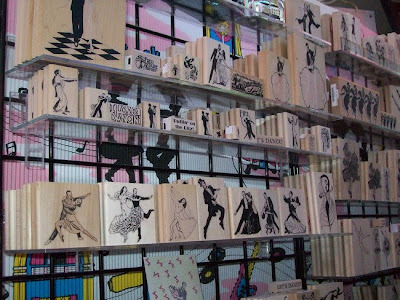 You MUST visit Viva Las Vegastamps. 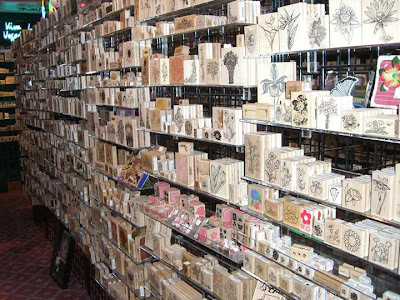 It is a delightful store packed full of stamps, and you will find yourself walking around the store laughing out loud at the funny stuff and being amazed by the variety of images. Things you would never have thought of as a stamp will be on the shelves. 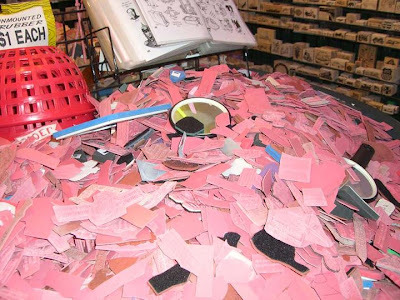 Stampo also has a blackjack table in there with a pile of rubber on top, and that's the rubber pit. Lots and lots of wonderful images at discount prices in the rubber pit. 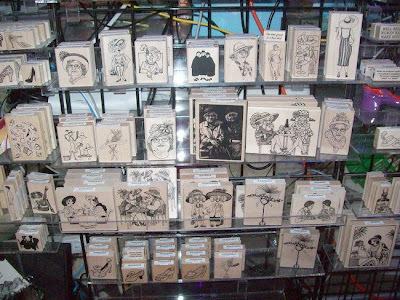 He also bought out inventory from the recently closed store Las Vegas Art Stamps, which was also a really nice store. It is a WONDERFUL place and well worth the trouble of finding it!!!! I've actually only been there once, and it was easily 10 years ago, and the memories of that visit are firmly in my brain....that's how great I found that store! PS from Stampo... Keys Lounge is now called Square Apple and we're right behind it... and we've doubled the size of our store. 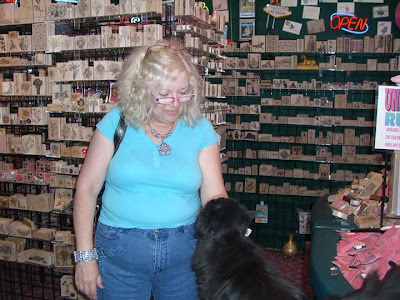 Something for Everyone at Viva Las Vegastamps!